Patiently waiting for this scene. 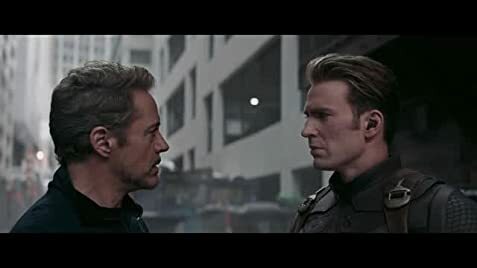 I really want to scene how Captain and Tony will cooperate in this movie. I think this is going to be awesome. They have a very close relationship and I don't think they are going to dwell on the past at all. They are going to give each other a man hug and get on with fixing everything. The Avengers sing their version of "We Didn’t Start The Fire".